Posted on Apr 3, 2015 by Appleton Downtown Inc. 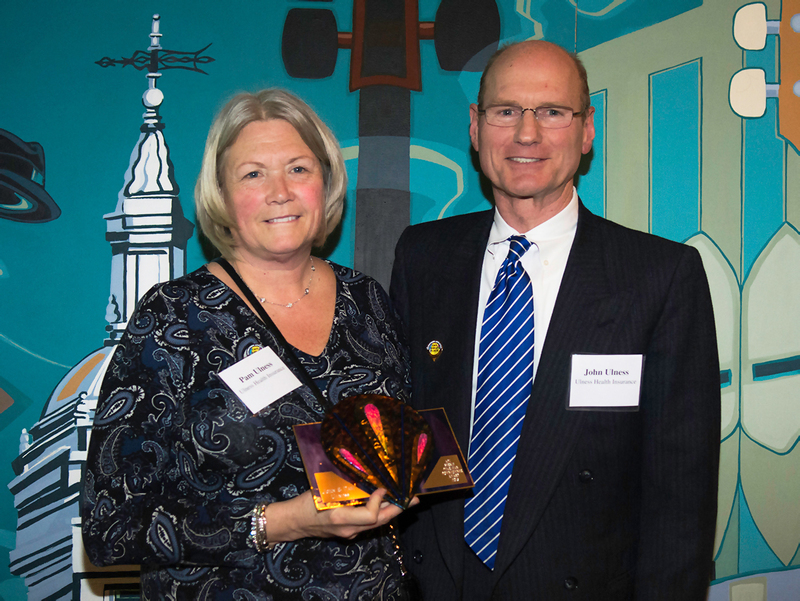 The 2015 Bernie Pearlman “Downtowner” Award: Presented to a person or couple whose dedication and enthusiasm has had a significant positive impact on downtown and displays an overwhelming passion for its success. In honor of Bernie Pearlman a wholehearted downtowner. It’s not hard to see why this Downtown couple is being honored tonight. It all started 7 years ago when this couple decided to renovate a building in the heart of downtown Appleton – today not only do they run their family owned Insurance business but they also created a beautiful home where they live on the second level. While their business continues to excel and keeps them crazy busy they still find time to volunteer as a BID Board member, speak out in support of important development projects, and support the Farm Market as a sponsor. You can find them walking the district daily and regularly attending downtown events – they are downtowners through and through!